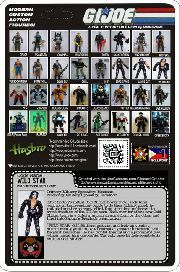 Custom base is my KISS interpretation, as part of NJC #61. I chose to do this group because I thought it would make a great Cold Slither heavy metal rock band for my collection, and outside the NJC, I consider them Cold Slither. 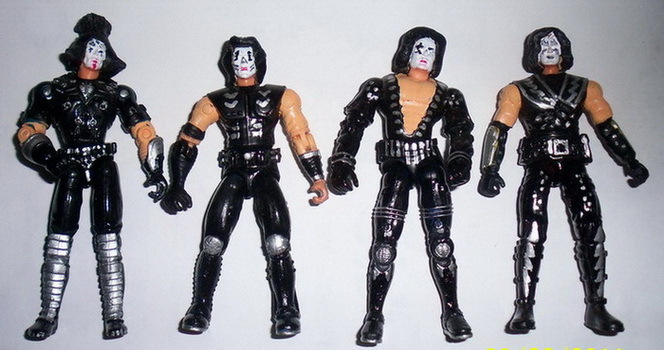 Although they're based on KISS characters. 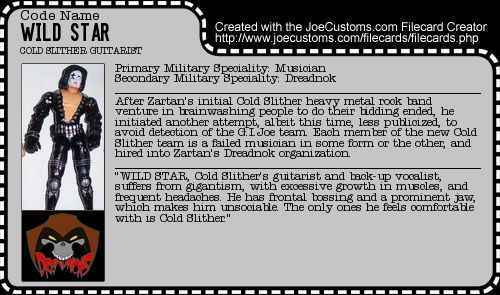 Although Cold Slither depicted Zartan, Torch, Buzzer and Ripper in disguises in the cartoon, my version of Cold Slither is a new one. 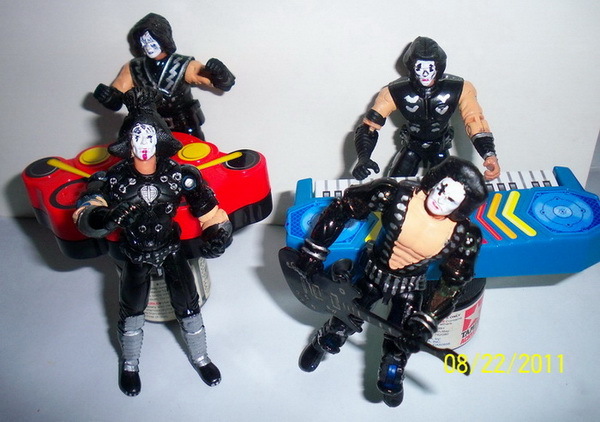 The group of Zartan brainwashed enough people that a new Cold Slither group was formed, with new Dreadnok members, to continue trying to brainwash the general public, for Zartan (and Cobra's) purposes. This figure is Wild Star, based on KISS' Starchild. He's the guitarist for the Cold Slither heavy metal rock band.